In the Northeast part of the USA, Subaru WRX's have largely become the tuner car of choice. Honda left the barn door wide open with the introduction of the seventh generation Civic. The WRX came with a 227 hp turbo flat four, AWD, 5 speed gear box, and available wagon body style. 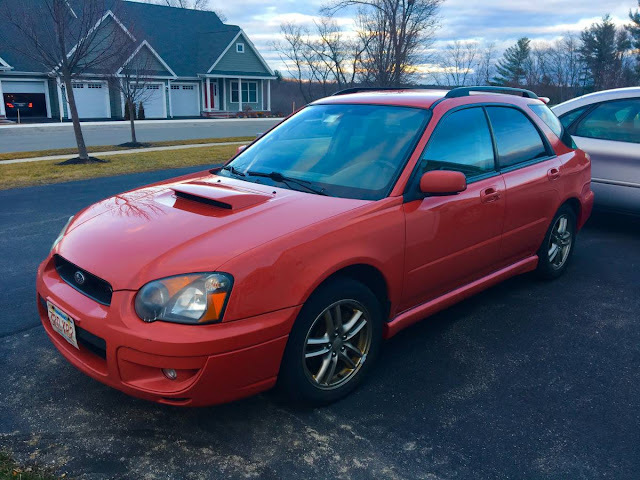 The breathing STI was only available as a sedan in 2005, but today's seller decided to swap a 2008 STI engine into his wagon. 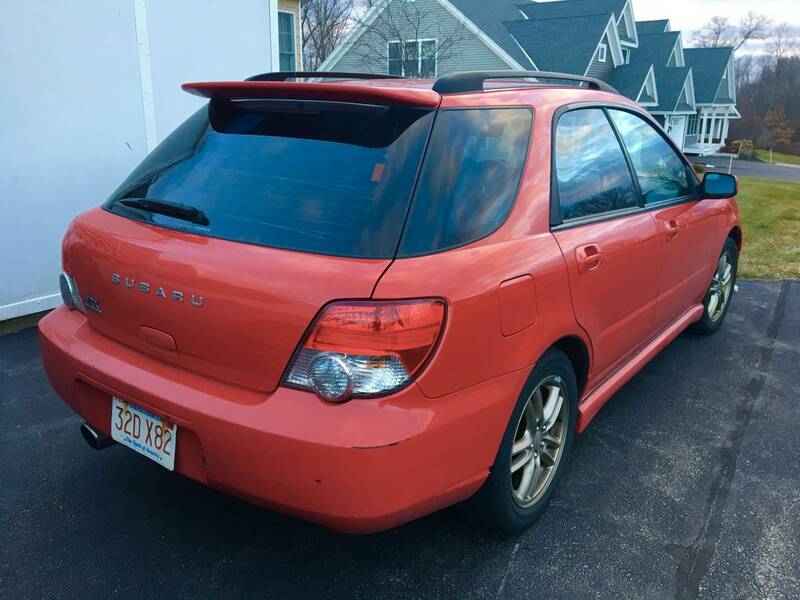 Find this 2005 Subaru WRX for sale in New Canaan, CT for $5,800 via craigslist. 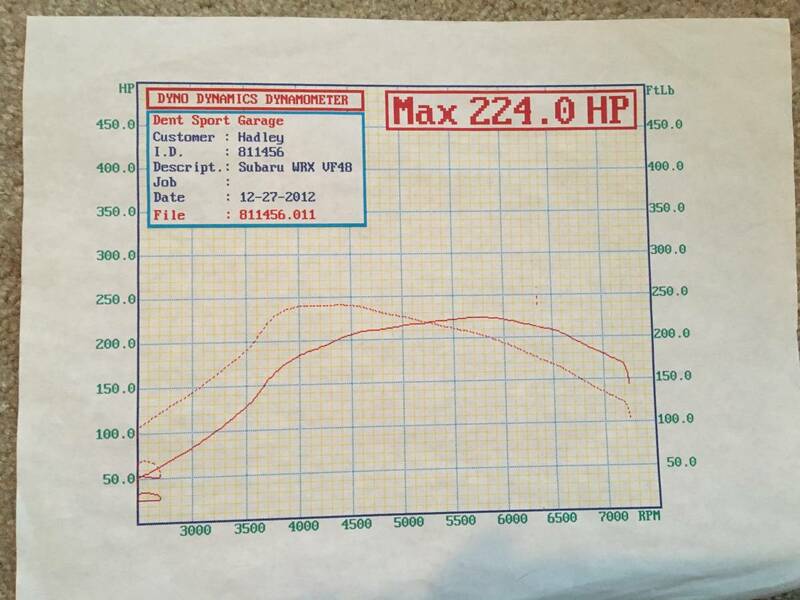 The 2.5 STI engine was installed on 12/27/12 and had about 57,000 miles put on the car since then. The odometer shows 227,000 miles on the chassis of this very fast sleeper. It is not noted how many miles were on the donor engine. The body is clean with normal wear from a car from 2005. Many northern cars suffer from rot and rust in the rear arches, but this one seems to have been spared that fate. 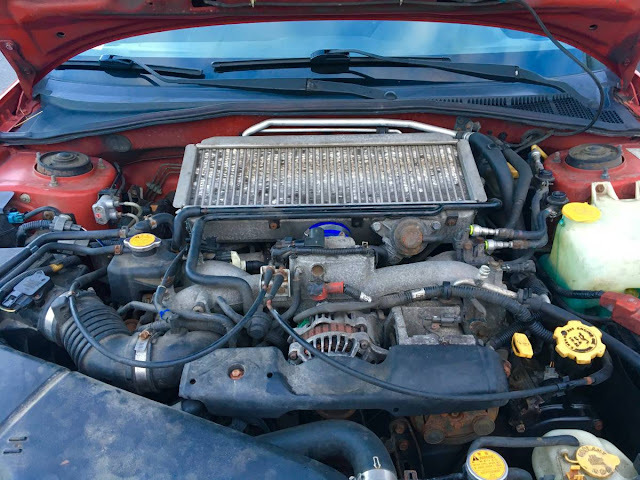 The seller notes many maintenance related items as being done: pressure plate, throw out bearing & seals, ignition coils on #1 & #4, spark plugs, battery, and brakes. 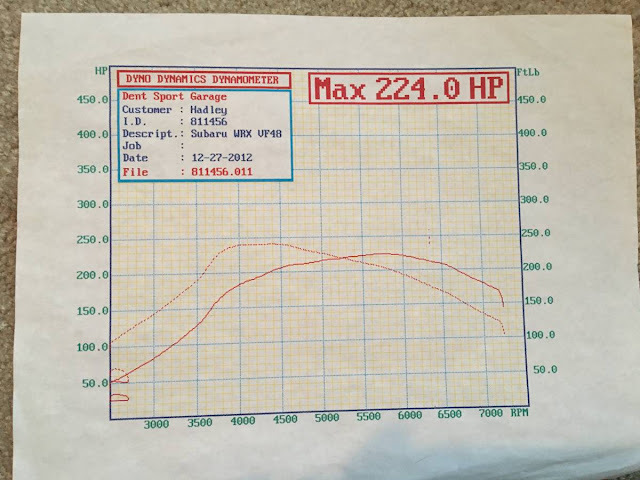 It is rare to see a seller back up his claim of a fast car with an actual dyno plot. The 2.5 STI put down 224 horse power at the wheels which translate to roughly 300 horse power on a AWD car. This seems to be a normal number for a stock 2008 STI. There is a lot more potential to this engine with the addition of a intake, intercooler, up-pipe, exhaust, and ECU tune. However, this is a substantial upgrade from the original 2.0L engine as is and the seller has priced the car extremely reasonably. "The 2.5 STI put down 224 horse power at the wheels which translate to roughly 300 horse power on a AWD car." I have the high school transcripts to back up my suckiness in math, so can you folks explain this one to me? How does does AWD increase the hp? It doesn't. AWD actually consumes some HP. If the car has 224 hp at the wheels, they are saying it has 300 hp at the crank. The difference of 76hp is due to parasitic loss from the drivetrain. AWD drivetrains have more loss than FWD or RWD. I'm all about parasitic loss at my age. Thanks for the clarifiyin' whoever you are.